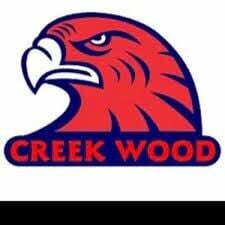 Creek Wood soccer coach Houston Daniel brings back a team from last season that was very young and inexperienced. That team is now one year older and wiser and they look to compete for a district title. Defense will be a strength for the Red Hawks as the two team captains are defenders. Gage Parker and Micah Johns lead a strong defense for Creek Wood. Daniel said that leading returning scorer Jon-Paul Flowers will be in contention for some awards at season’s end. Juniors: William DeWesee;Timothy England;Louis Komisar;Samuel McGlasson;Trent Miller;Gage Parker;Bryson Payton;Luke Salley. Sophomores: Lucas Anderson;Jon-Paul Flowers;Noah Groves;Colton Norman;Jacob Steddum;Jacob Worley. Freshmen: Gavin Benner;Brody Cook;Eric Johnson;Bill Parish;Nick Ware. 03/14- at Davidson Academy; 03/19- at East Hickman; 03/21- at Montgomery Central; 03/26- at Cheatham; 03/28- vs. Northwest; 04/02- vs. Harpeth; 04/08- vs. Waverly; 04/11- at Kenwood; 04/18- vs. Sycamore; 04/30- at Fairview.